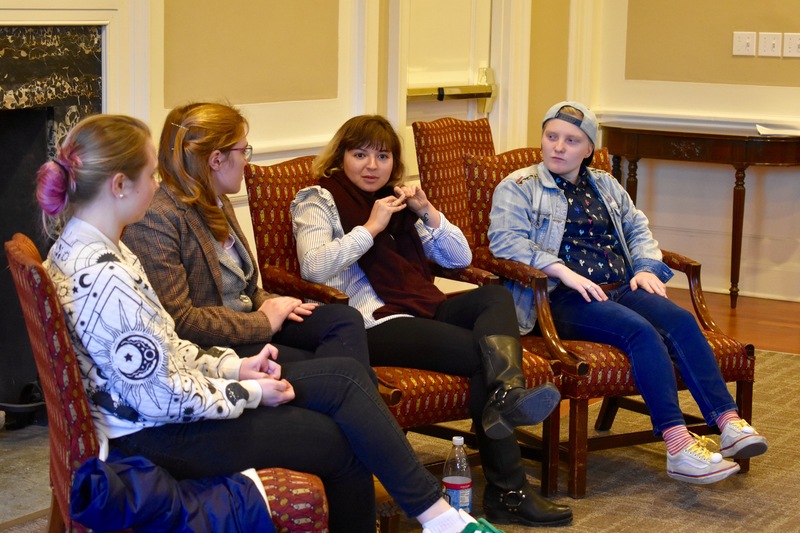 BETTERING BOWDOIN Daisy Wislar ’18 (right) listens to Zoe Borenstein ’18 (second from right) at a student panel on accomodations and disablity. LET’S DANCE Bowdoin Zumba instructor extraordinaire Béa Blakemore pumps up the class to lead stretching. 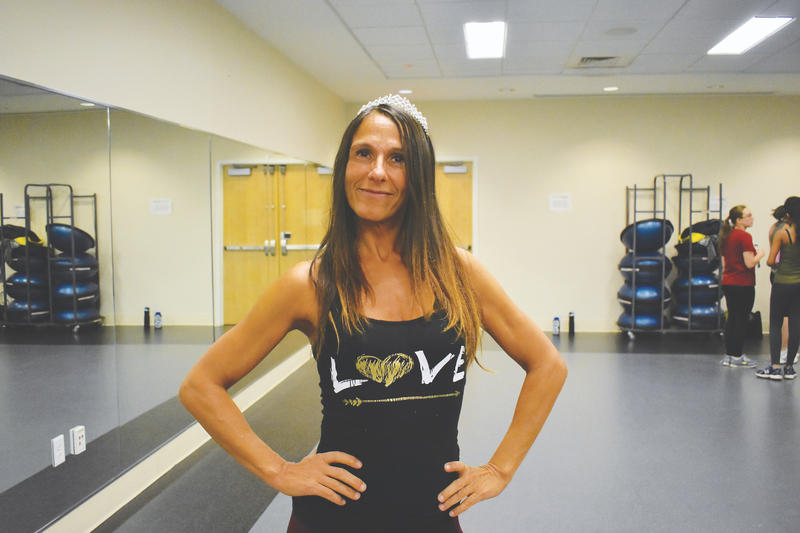 A Parisian who has found her home and her people in Maine, Blakemore lights up her community and leads classes every Monday and Thursday at 5:15 in Buck 213. 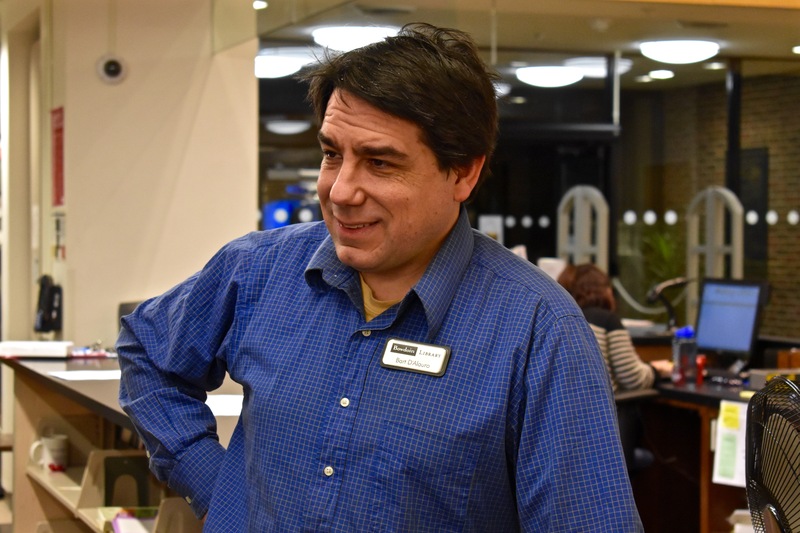 BETTER THAN BLOCKBUSTER: After 15 years of providing film expertise to the Brunswick community, Library Circulation Assistant Bart D'Alauro '95 had to close his DVD rental store last month under the pressure of streaming services.